The Port of Port- of-Spain (PPOS) in Trinidad and Tobago is replacing its five-year old terminal operating system with Zebra’s Navis SPARCS N4 to improve operational efficiency and productivity. 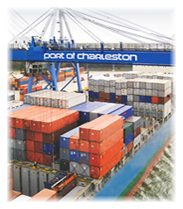 Port-of-Spain handles a great deal of the country’s imports, exports and trans shipments, with a current volume of 400,000 twenty-foot equivalent units, a standard container measure in intermodal transport. The Web-based Navis SPARCS N4 operating system will aid in managing the movement of container logistics and operations, offering PPOS increased yard utilization and greater control over resources to properly respond to changes in the flow of cargo.